Sixteen gel stickers that are totally re-positionable! 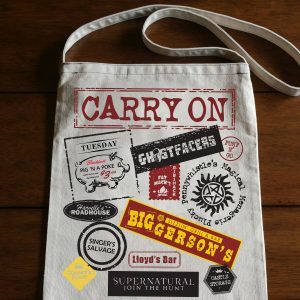 Featuring Sam Winchester in some of our favorite episodes: studious Sam, Sam’s mugshot, along with moose and his lost shoe! 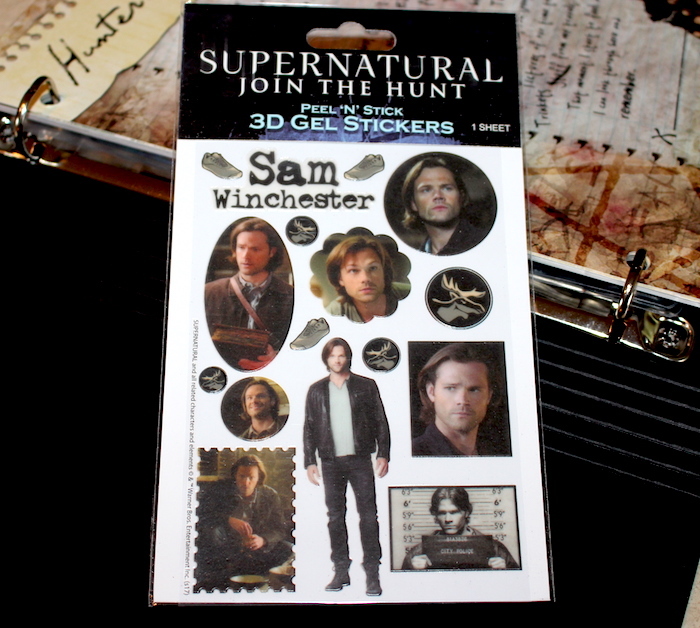 Decorate your Supernatural Journals with our new Sam Winchester Gel Sticker Sheet! These stickers are made from a proprietary process that makes them totally re-positionable! 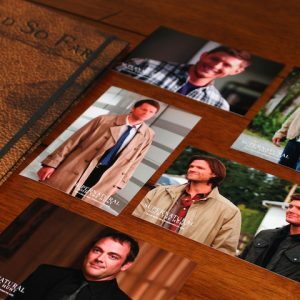 Featuring Sam Winchester in some of our favorite episodes: studious Sam, Sam’s mugshot, along with moose and his lost shoe! 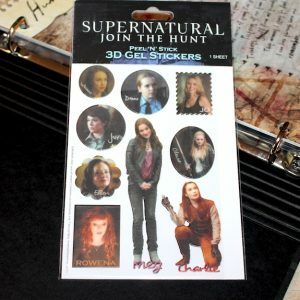 4″ x 6″ clear sticker sheet includes 16 stickers!